From the initially scheduled date of February 14, we hope to finally have all results from the 2015 general elections this week of April 26. Two months is a long time to keep the business of governance hanging for a nation; then again, even without a postponement, India’s elections ran in nine phases over a four week period! 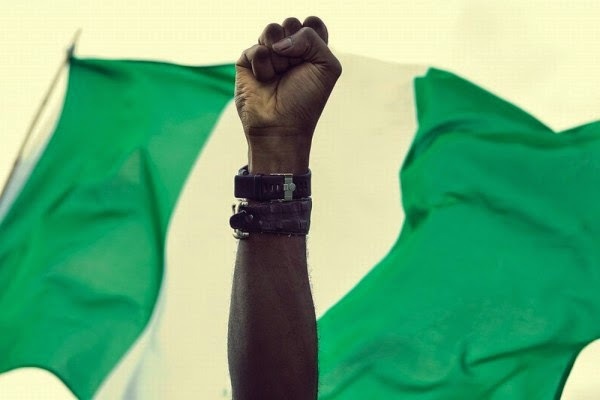 There were expected wins and some upsets, but the “election” that captured the hearts and minds of Nigerians and the world was our presidential election which saw an incumbent lose for the first time in Nigeria’s history. Following on the steps of the Ekiti State Governor, Kayode Fayemi, President Goodluck Jonathan also conceded defeat, albeit before the official results were announced. This set the tone for the governorship election as the losers in Kaduna, Lagos and other states graciously called their winners to congratulate them. For most Nigerians, it is the presidential and governorship elections that matter most with little attention paid to members of the National Assembly and the state Houses of Assembly. Unlike the presidential and governorship elections where the media and the electorate focus on the individual, track records, manifestos, promises and the like, most National Assembly and state Houses of Assembly members tend to ride on the coat tails of their parties — very little formal campaigning, no debates, no manifestos. There are a lot of stakeholder visits and direct engagements with party members. If we had the presidential and governorship elections on one day and the legislative elections on another day, the drop in voter turnout will definitely raise eye brows! With this cycle of elections done, we’ve elected five of the seven offices we can vote for — President, Governors, Senators, House of Representatives members and House of Assembly members. We now have to wait for the states to determine when they want to hold local government elections to vote for the other two offices. In simple terms, be engaged in your community and pay attention to how it is run. For eligible voters, our vote is the most potent weapon we have as it’s what confers authority on our elected officials to make decisions on our behalf and hold our common wealth in trust – spending judiciously and saving for a rainy day. So, around elections, they make promises and try to capture our support. For discerning voters, we ask questions and try to get commitments to specific actions. However, for the majority of the voting population who are disconnected from governance, election is a once in a four-year opportunity to get something from politicians, who we won’t see for another four years; so, we are content with food items, fabric and cash. The general saying is that the All Progressives Congress and the Peoples Democratic Party are six and half a dozen given the level of defections. Therefore, party allegiances are neither here nor there as the ball is really in the citizen’s court. Collectively, we can decide who presides over our affairs and how they do it. It is hard work but very possible. A starting point would be to map out an agenda; determine priority issues and find like minds to create a plan of engagement. For me, here are some things that I would love to find partners to work with over the next four years. My Senator, House of Representatives and state House of Assembly member, who are they? Where are their offices? What are their phone numbers and email addresses? What have they promised to do? How often do they plan to host town hall meetings to engage the people? How do we ensure they represent our wishes? A project called “Shine your eye” — www.shineyoureye.org — has started to compile this information and it promises to be an indispensable platform for engagement. They must provide a public breakdown of their allocations and CUT their budget. Nigeria is going through a financial crisis and it makes absolutely no sense that 469 elected representatives and the staff that support them plan to spend N120bn this year. Doing what? The fact that the National Assembly has oversight functions over budget performance, yet refuses to be accountable with its allocations is indicative of how well it is curbing waste in the other arms of government that through pictures and videos, both chambers always appear empty during most plenary sessions. Both chambers must STOP voice-voting. Currently, our representatives voice vote (The “yehs” have it!) which prevents us from being able to hold them accountable to their position on issues. How would I know if my representative is really representing my opinion when I can’t track if he voted “yeh” or “nay”? The facilities to vote electronically are available and members of the National Assembly should begin the Eighth Assembly by mandating its usage. It’s also important because it allows citizens to track attendance. From videos and photos, both chambers look quite scanty most of the time and we’re not sure how many people actually show up to deliberate on national issues. This is best exhibited by adhering to the Freedom of Information Act, not hiding under domestication. Besides, if a policy of openness was the default, there would be no need to reference the Freedom of Information Act to request basic information, like budgets! Most states have outdated websites and have no channels to communicate directly with officials. Who is responsible for what and how can citizens reach them should be the default. This is especially true for members of the state Houses of Assembly. The outgoing administration’s attitude towards the citizens seemed to be if you criticised us about anything in any way, you were an enemy. As such, it missed great opportunities to engage for the common good, the most devastating being around the insurgency, especially Buni Yadi and the Chibok girls. This new administration must NEVER forget that Nigerian lives matter. As such, it must not only prioritise security; it must prioritise documenting the lives of civilians and uniformed officers that have been lost in the insurgency in the north-east and other ethnic and religious clashes around the country. Furthermore, the loss of dignity that poverty and lack of access to basic services creates must be conscientiously reversed. The same demand from state governments applies. Social media is an easy way to engage and get instant feedback. Given the many promises of the new administration, it is imperative that communication is proactive not reactive. Nature abhors vacuum and with silence or misinformation, citizens will demand answers. The Office of the Citizen is the highest office in the land but it currently doesn’t come with a salary and it’s definitely lacking in pomp and pageantry. However, if 10 per cent of Nigeria’s 58 million odd registered voters fully occupy the Office of the Citizen and engage with elected officials on their rights and responsibilities, the salary will come in the forms of visible social services and improved quality of life. The pomp and pageantry will follow as citizens take their rightful place in determining who leads them and how they spend OUR COMMON wealth!